Papel Etc is a stationery company focused in 4 areas: office, scholar, educational and gifts. 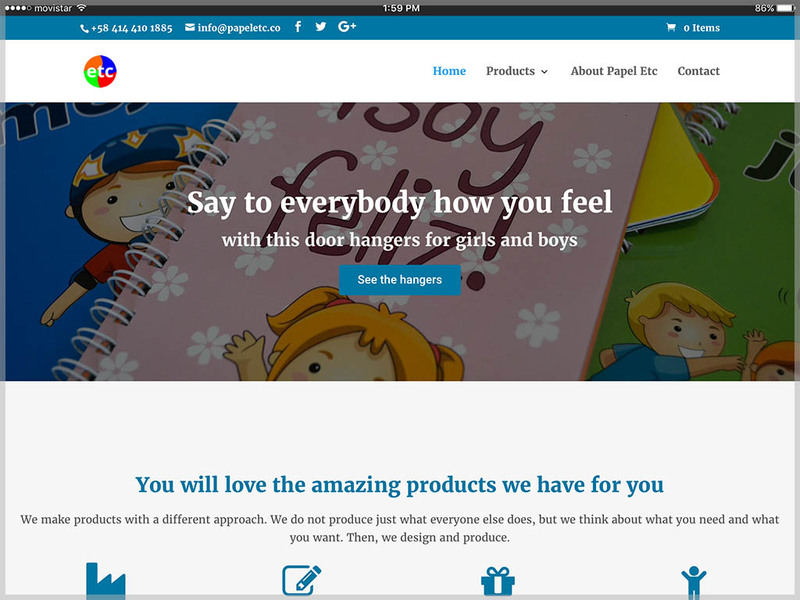 They create and produce their own products, so, the website is intended as a B2B. They wanted a useful design, very close to their brand to show up the products. The solution was a e-commerce site that allows users to request a quote. Also, the website have input forms to receive questions from customers.